Communicating to the reviewer the total systems capabilities in a pictorial format that is easy to understand and assess. All components in the family from critical supply out to major function can be found in a single document instead of stretched out across multiple P&IDs. Developed and delivered using the IEC 80612 international standard, allowing the reviewer to see the family members redundant capabilities. Developed to communicate the top event should the component or system degrade to a loss of functionality, this is traditionally referred to as the “What IF”. 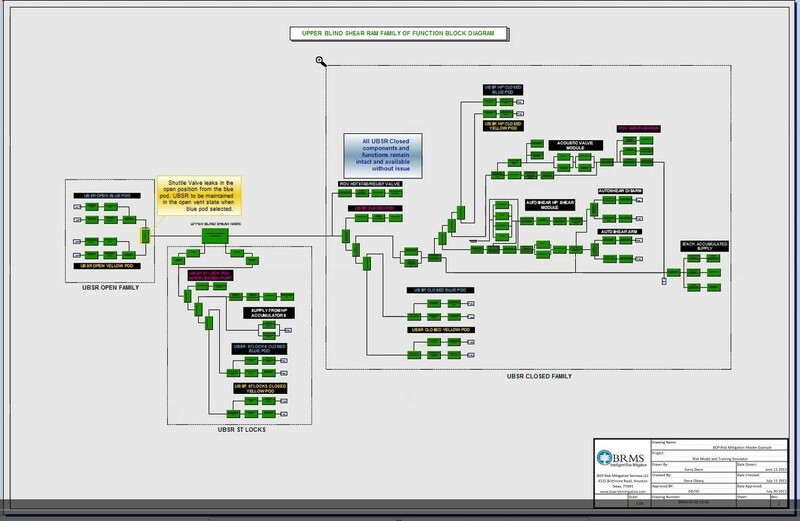 Inputting the Component ID render the component nomenclature and the family association and selecting the failure mode auto completes the full risk assessment including symptomology, trouble shooting and a contingency plan to maintain control for your primary responsibility to well control. Pointedly formatted to communicate the technical facts using standard verbalization, and largely populated by pre-assessment information making assembly quick and easy. 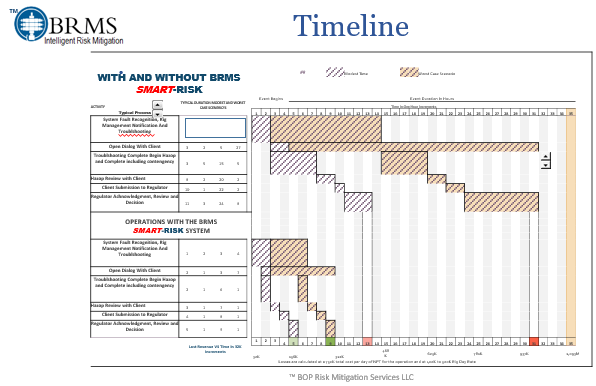 The below graphic is a comparison of traditional Risk and Loss Mitigation timelines to that of the BRMS Risk and Loss Mitigation System. The BRMS system accomplishes the same technical assessment in a mere fraction of the time for rapid response to reporting requirements.